Sanitation workers and refuse collectors have higher fatality rates than police or firemen. In 2013, the fatality rate for these workers jumped 22% from the year before to 33 deaths per 100,000 workers. In places like New York City, cars, trucks and buses are a constant threat. Impatient drivers squeezing around stopped trucks are a recipe for disaster. 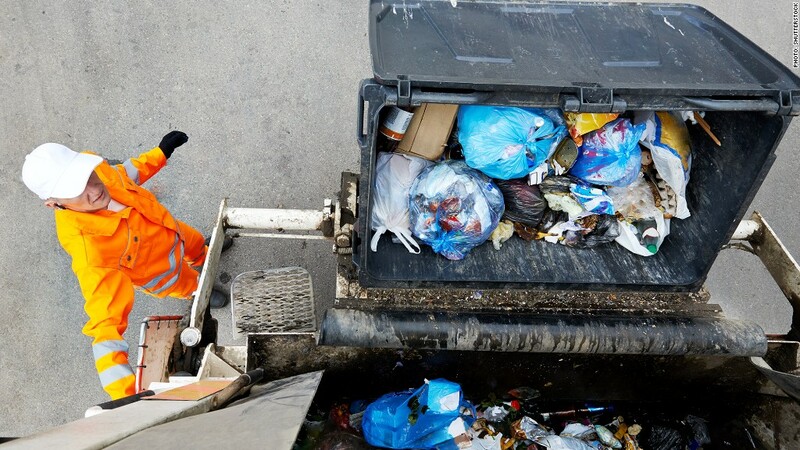 But there are other risks that are harder to see: "Garbage itself is such a chaotic collection," said Robin Nagel, a humanities professor at New York University and author of Picking Up: On the Streets and Behind the Trucks with the Sanitation Workers of New York City. A trashcan lid or a container of household fluids can be lethal when ejected out of the back of a truck. Garbage bags filled with dangerous or sharp materials can also explode when compacted as they're swept into the hopper. "Guys have been hit by raw sewage, by bowling balls and by wood moldings that splinter and come out like a javelin," said Nagle.